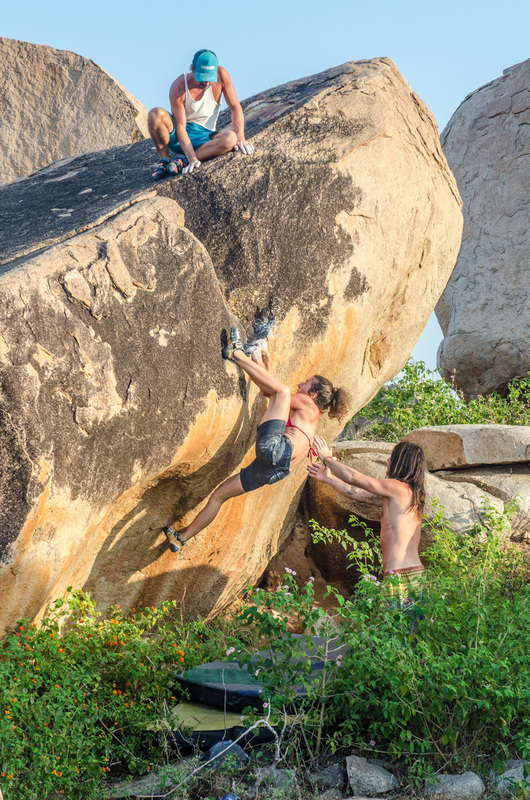 There are two types of seasonal guests in Hampi: climbers and non-climbers. The climbers can be found chilling on their crash pads constantly looking at the skin – or lack thereof – on their fingertips. They are the ones chattering about the beta of their current project and grading all of their problems at the dinner table. 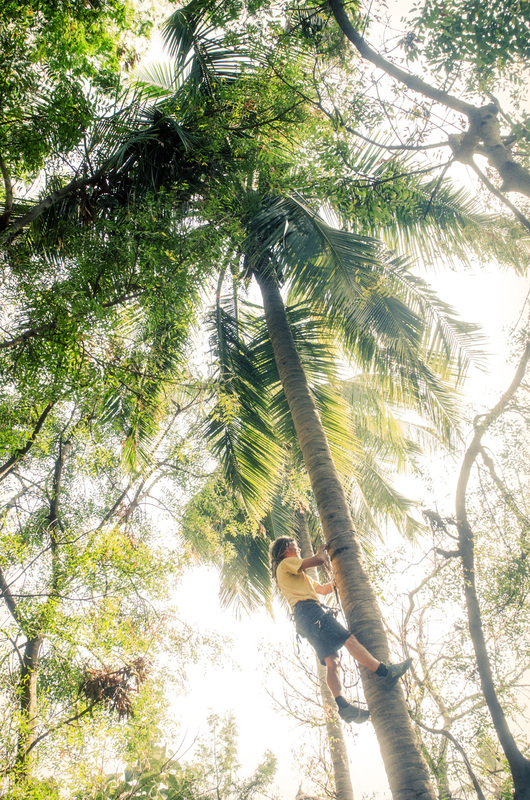 The boulder addicts all live at the Goan Corner on Hampi Island from November to February. The non-climbers are the sunset freaks who approach the boulders only in the evening and head directly to the appropriately named “Sunset Point” with their bongos. During the day they can be found swimming at Sanapur Lake or touring the various temples. 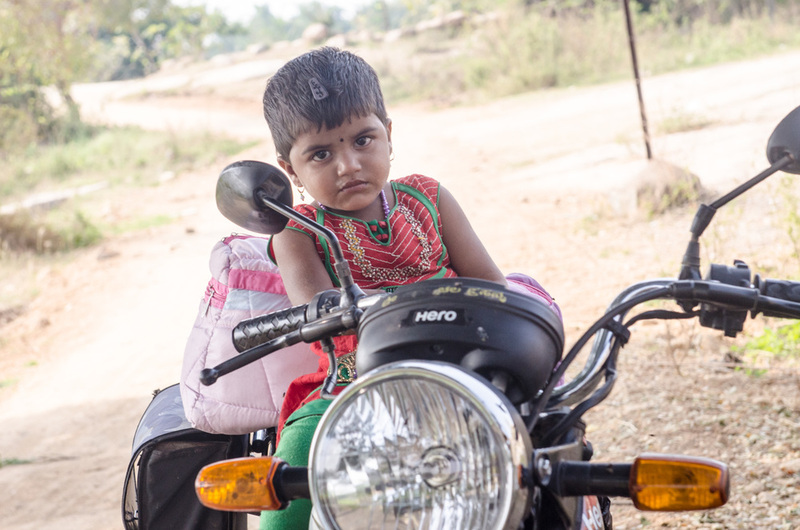 The majority of these visitors come to Hampi from Goa after New Year’s and stay for 3-10 days. They are non-discriminating in their choice of guesthouse. 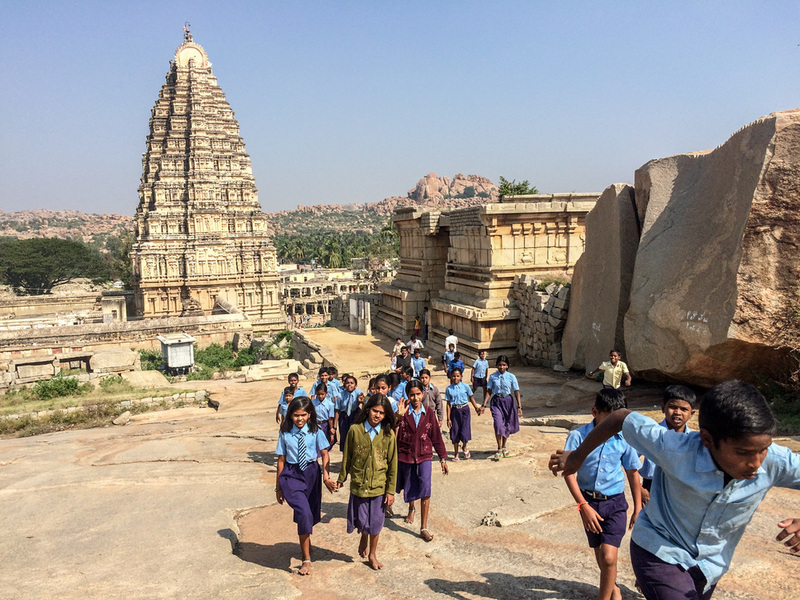 So aside from the travelers, what is Hampi like? These are phrases I’ve heard over and over again to describe Hampi. 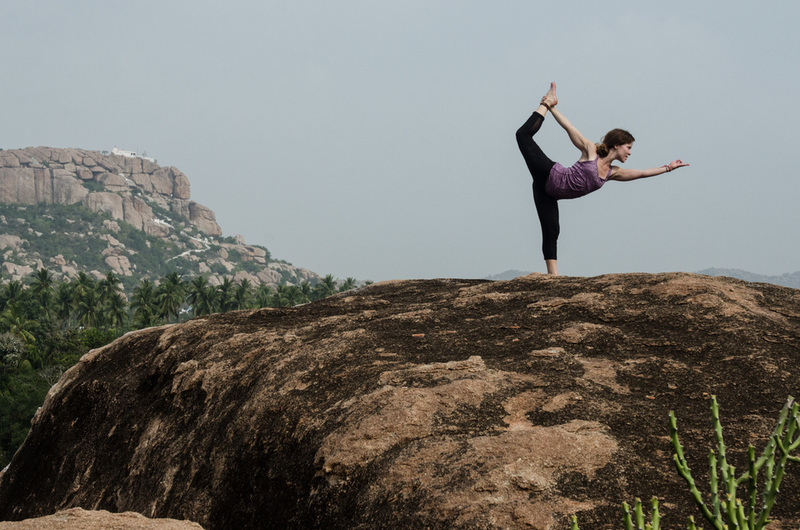 But really, as it goes with the things you love in life, Hampi is rather indescribable. The essence of this village in central Karnataka can’t be captured in a simple phrase. 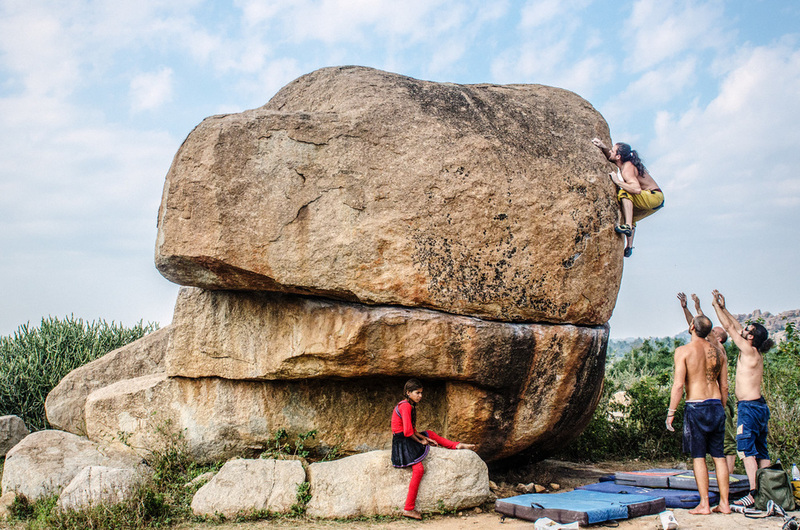 I spent over two months in Hampi climbing the 3.5 billion year old boulders that extend for miles in every direction. The setting is straight out of the Flintstones. It is indeed surreal. And the schedule of climb, eat, sleep, repeat in the hot, hot sun does make people seem as stoned as Sharma in Pilgrimage. Hampi was the birthplace of the Hindu god Hanuman. Hanuman is the monkey god and a fitting specimen for a climbing mecca. Monkeys are everywhere in Hampi and, as Sharma says, they are the modern day representation of Hanuman. They are the climbing gods. Along a similar thread, Hampi is a holy city filled with ruins from the former Vijayanagara Empire. Because these old structures are made from the boulders, the temples are an organic complement to the landscape. November to March is officially the season to visit Hampi, but by the end of February most of the guesthouses are ghost houses because the heat has become unbearable. It’s hot for the majority of the season, but at this point the window of opportunity for climbing grows significantly shorter every day. Much of the daylight hours are spent hiding from the sun in a hammock. And how much will it cost you to hang around the boulders? Hampi is cheap. Most days I spent no more than $20 USD which included my own hut, 3 solid meals, and maybe a beer or two. If I had wanted to, I could have cut that number in half by sleeping on the roof at Goan Corner, eating at more local places, and forgoing the beer.